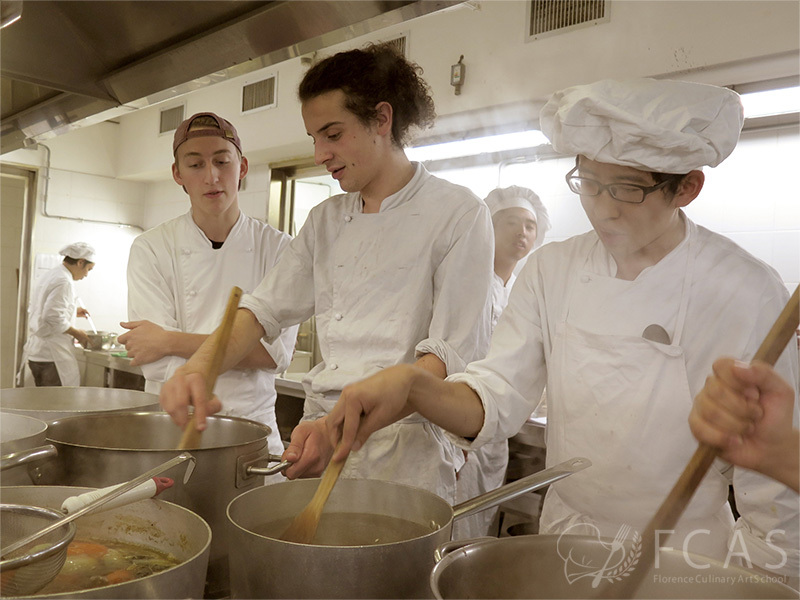 Course for professional in Italian cuisine. Learn from a top-level Italian Grand Chef. Learn authentic Italian homemade cooking from culinary professionals in their kitchen. Gelato Course, Barista Course, Sommelier Course. 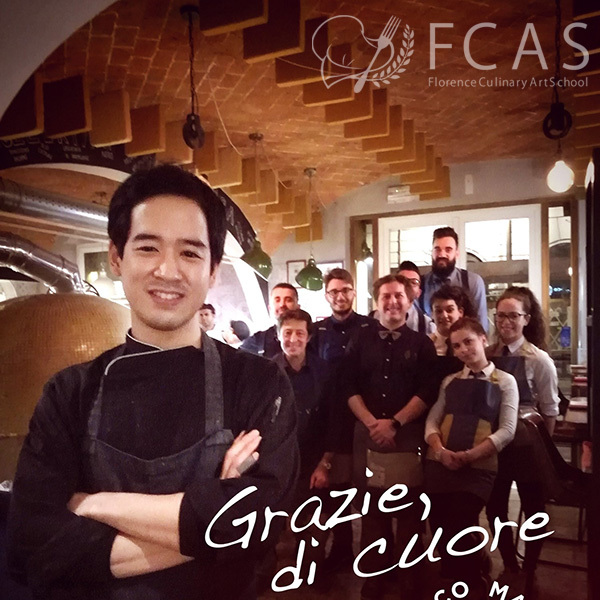 06/03/2019[FCAS Blog & News] Mr. Nakai decided to extend the restaurant internship for his third year. Food is one of the fundamental elements of a culture, representing the region’s culture, nature, and climate, etc. evolving together with the transformation of the land. Florence is one of the most popular tourist destinations in Italy, and by taking one step out of the classroom, you will encounter countless foods, from traditional foods to foods of the latest trend. Foods offered to visitors and to city residents, foods offered at friends’ house, ingredients that cannot be found in your own country, and all of these diverse foods will give you hints to know Italian cuisine deeper, and to know Italy itself. Students are encouraged to learn from various experiences, not only to study in the school but to go out and discover what is out there. All the culinary lessons are available with free English interpretation service (other languages available).